Why has the rate of entrepreneurship recently gone down in Singapore? Why is entrepreneurship in Southern China (e.g., Guangdong or Fujian provinces) relatively higher than in the rest of China? Why is corruption rampant in some Chinese business communities but virtually nonexistent in others? Although we often speak of “Chinese entrepreneurship” as a monolithic entity, the fact is that there are many variants of Chinese entrepreneurship and these variants continue to rapidly evolve and take on new forms. Yet mainstream management or organizational theories have been at a loss to explain these high rates of variation and evolution. To shed light on these issues, we introduce the idea of symbiosis from biology and adapt it to the development of entrepreneurship in Chinese ethnic communities. Symbiosis is the science of how different organisms coexist with each other in a self-sustaining system. Using this approach, we develop six propositions to explain what types of entrepreneurship are likely to evolve in different Chinese ethnic communities and how this process of evolution is likely to proceed. The implications for researchers and practitioners are discussed. An earlier version of this paper was presented at the conference on Managing in Chinese Ethnic Communities, which was held at National Sun Yat-Sen University, Kaohsiung, Taiwan, December 12–13, 2008. We would like to thank conference participants, discussants, and editors for valuable comments. Fang, T. 2010. Asian management research needs more self-confidence: Reflection on Hofstede (2007) and beyond. 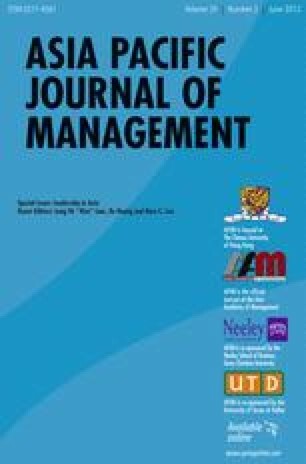 Asia Pacific Journal of Management, 27. doi: 10.1007/s10490-009-9134-7. Gu, M., & Tse, E. 2010. Building innovative organizations in China: The “execution+” organization. Asia Pacific Journal of Management, 27. doi: 10.1007/s10490-008-9115-2.